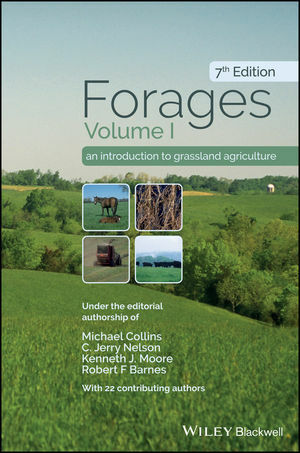 Forages, Volume I, Seventh Edition is the most comprehensive text available for teachers of undergraduate Forages courses. This edition will provide students with a good balance of scientific principles, to aid in integrating the concepts they learn, and practical information on forage identification, plant characteristics, management, and utilization that can be used by forage management practitioners. Grassland ecosystems are extremely complex, including the plant/animal interface as well as the soil/climate/forage interface and the text must support understanding and integration of all of these considerations. The coverage of the science behind the plant characteristics and responses make the book applicable in many parts of the world, while other region-specific management information relates mainly to North America. This edition has been updated to address emerging areas of study, including the use of forage plants as bioenergy crops. The editors also address the renewed national interest in environmental issues such as water quality, global climate change and eutrophication in the Gulf. This edition also addresses the role of forages for wildlife habitat and food sources, another area of increased interest in recent years. These revisions respond to the generational change taking place among forage scientists and teachers in recent years.